Since then I did take a bit of a turn for the worse, but that doesn’t mean that I am less hopeful as the Lord is with me everyday and now when I am bad I can go to him for comfort and help. I receive so much support from my husband, family and friends (including you guys!) I am very blessed. 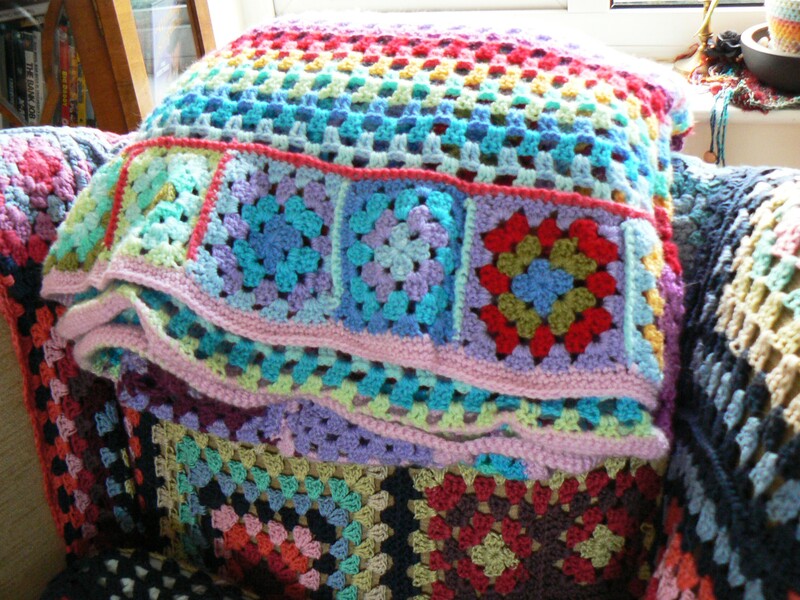 I have popped over to share something with you today, do you remember the blanket I showed earlier in the year? Well it is being auctioned off in a record breaking auction for charity. The money it raises will go towards a charity very close to my heart, Annabel’s Angels. I am sure you remember me sharing how I lost a friend last Christmas. Well her husband Simon and friends she met on the Macmillan forum have set up Annabel’s Angels to raise money for the hospital she was treated at and other cancer charities. They have done amazingly well, he has climbed mountains, in the summer many many ladies ran the race for life and most weekends Simon and friends can be found shaking buckets and filling bags at supermarkets and football games and they have already raised a lot of money which I know will be helping many people living with cancer right now. Also another friend of mine has donated one of her paper-cuttings which I love, that is available here.